It’s still not the perfect weather for photography, but I went outside anyway yesterday. 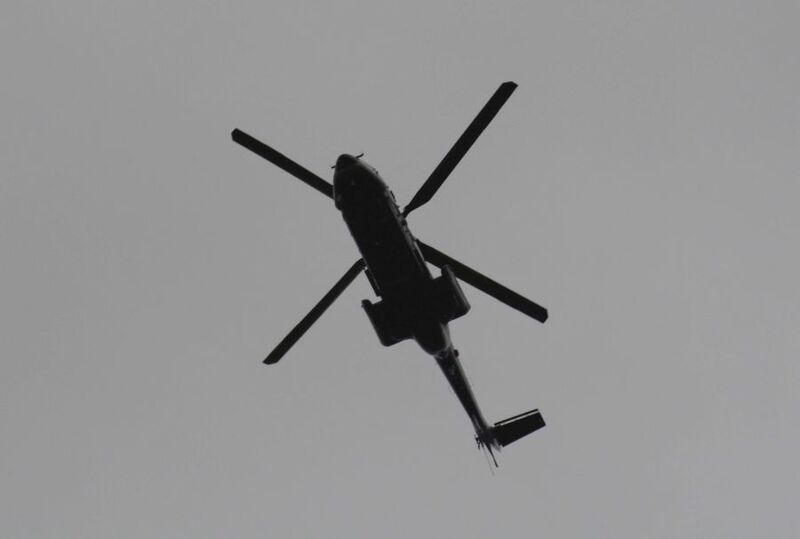 I heard a chopper in the air and thought I could test my new lens again. The test photo was shot at 270mm, it doesn’t look that great due to the dark weather, but I am happy how far I get can with the lens. The photo is cropped, that means I was in fact further away, but I didn’t have to crop too much. I am happy that I can focus fast enough with the lens, it’s at least fast enough for me, and I expected it worse as so many people complained about the auto-focus of this lens in different forums. The auto-focus is slower compared to my kit lens, but it’s still unproblematic in my opinion. But I don’t know it better, I just started out with this type of photography.